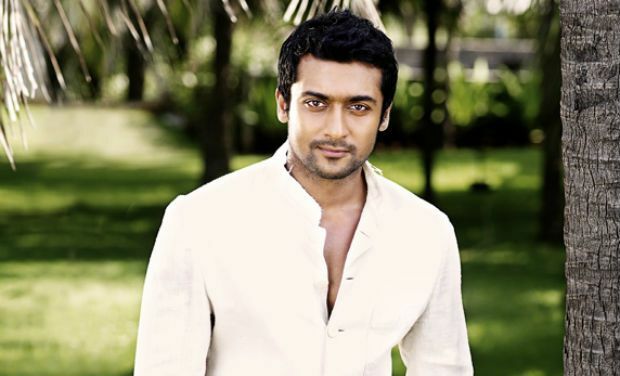 Arguably one of the most bankable names in Kollywood, Surya's meteoric rise to K'town royalty has much to do with his aspiration, as it has to do with his humility. His greatest contribution to the good of society stems from his aspiration. "We need to earn enough to be able to give back," he says, speaking excitedly about his Agharam foundation that hones students for schooling and life itself. "My father comes from a village called Kasigoundan Puthur near Coimbatore. We would not have been here today if not for education. My dad's relative helped him financially and his teacher was the guiding light. Education transforms life and it did change ours. Today, my family, our team at Agharam and myself believe in the miracles of education," he says. The unassuming nature of this hunk is offset by his muscle-charged physique that has women of all ages swooning, but his biggest charm lies in the fact that he is a dedicated married man. 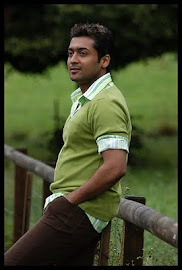 "Jyothika completes me. Her smile is all that I look forward to after a hard day at work or when I'm low. Women do so much for us. I had my career, my home and I am in a city that is home to me. But for her, she relocated from Mumbai, gave up her career and loves being a homemaker. She is our happiness hotline no matter where we are," says the proud husband. 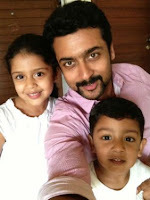 Enjoying the joys of fatherhood, Surya's eyes light up when he talks about his children Diya and Dev. There is a sense of joy in his voice as he says, "Diya is just like me and Dev is a photocopy of Jo. I want them to follow their heart, but as a father I do tell them about what is right and wrong through short stories or anecdotes. When I tuck them into bed, I read stories to them. I feel real love. Often we are enacting emotions in cinema and I felt I had become numb to emotion. But my children made me realise the joys of feeling excited, loved, being wanted and admired." It's no surprise that he can't stop talking about the centre of his world, his kids. He continues, "I take them to our terrace and we play a lot. We do walks in the park when it's relatively less crowded and at night, sometimes I take them to the beach. When I was in Japan recently, I bought some audio books. We sit around and listen to the book and my children learn a lot about the world through these encyclopedias." His warmth stems from being content, from being truly in a happy place. "I have come a long way from being someone who never dreamt of films to now working constantly in the industry for the past 15 years. Never did I imagine a life like this. Whenever people used to ask me, my gut feeling used to always prevent me. I went to Loyola to get myself a commerce degree and even when my collegemates were dabbling in films, it didn't interest me as a career option. Even my dad who was a successful actor never took us to his shoots or involved us with film functions. But there was a time when he suggested I learn kickboxing and horse riding to prepare for a career in films, even then I said no. It was much later that opportunity knocked on my door and I couldn't turn it down." His warmest thoughts are where they rightfully belong, to his fans. "I am so humbled and touched by all the love. As clichéd as it may sound, there is no way of describing how overwhelming it is to be liked, appreciated and wanted by so many people. When I visited Norway recently, I met many Indians and Tamilians who had not come back home for nearly two decades. But they all knew our Indian film stars. They recognised me, it was very touching to feel their affection." 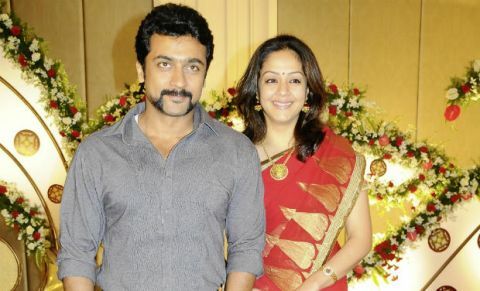 At a time when relationships are fast being diluted and 'adjustment' is the key to success of a marriage, Surya says, "I enjoy each day with Jo. It's like I am discovering a new her everyday. There are so many dimensions to a person and discovering those facets and celebrating them is key to a happy relationship. Till date, I still take her out on lunch dates, we spend quality time every night after we tuck the kids into bed." While on relationships, we can't help but notice the reverence and love he feels for his dad. "Our ability to reach out and touch the lives we do comes from his guidance. He has been doing so much for the needy for the past three decades." I have grown up hearing a lot about her dynamic personality. No matter what one hears, it’s a different experience meeting her. Her charisma and charm are magnetic. I feel she has the good of the people at heart. Opinions are allowed and lots of people have opinions, as they should, but the fact remains, she has progressive ideas for our State. Her leadership has a confident, dynamic and sensitive approach to it. As a member of the film fraternity, which she also came from, I am extremely proud of her achievements and I feel she is a role model to not just women but also us men. In a country where we hear of so much violence against women, we need women like our Chief Minister who are at the forefront of shaping policy. - My 4am friend in the industry is Madhavan. He is my first industry friend and no matter where I am or where he is, he’d be the first person in the industry I’d call when in need. - Jo sings Hindi songs for me. She’s really sweet like that. I feel special instantly. I have sung to her once, it was an Ilayaraja sir's song and she recorded and still plays it back to me sometime to rib me. - I am planning to cook for her and the kids when we head to the US in April. We are going to be staying at Jo's sisters place and I have learnt how to make soup so far. Once before, Jo and I have made mini-samosas and dosas for the kids. 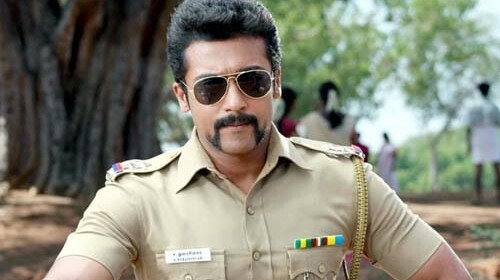 Singham-2 is very different. It's not just centred around Chennai. We go deeper South. I had a great time working with Hari again. I learnt about conviction while emoting while working on this project. In this genre, this is the best film so far in my career. And we've shot in South Africa too. I promise all my fans that it will blow their mind. The tabloid format is fresh and very appealing. Language is crisp, articulate and very today. There is an element of punch in the candid stories Chennai Chronicle writes. I like being seen in it. My warmest wishes to the entire team of Chennai Chronicle for a great job done so far and for raising the bar of tabloid journalism. Good luck and God Bless.